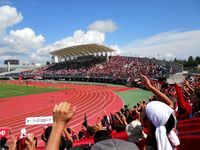 The stadium occupies over 30,000 square metres in central Hakodate. 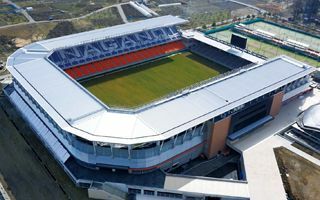 Ever since its reconstruction in 2001 it has a rare layout with the main grandstand built in the east rather than west. This side offered best access as a baseball stadium was built just beside it, both using the same plaza for public entry. 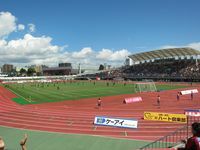 Only the main stand has seats, over 5,000. Remaining three sides are either grass terraces (west and north) or concrete terracing (south). 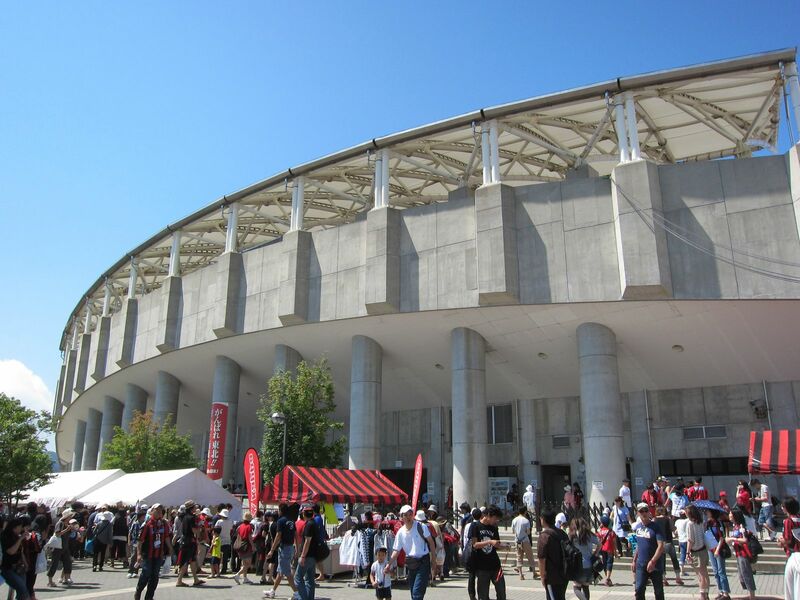 When all are open, up to 15,000 people may enter the stadium, though one game in history saw an even greater number. This was when Consadole played their home game here against Gamba in 2001. 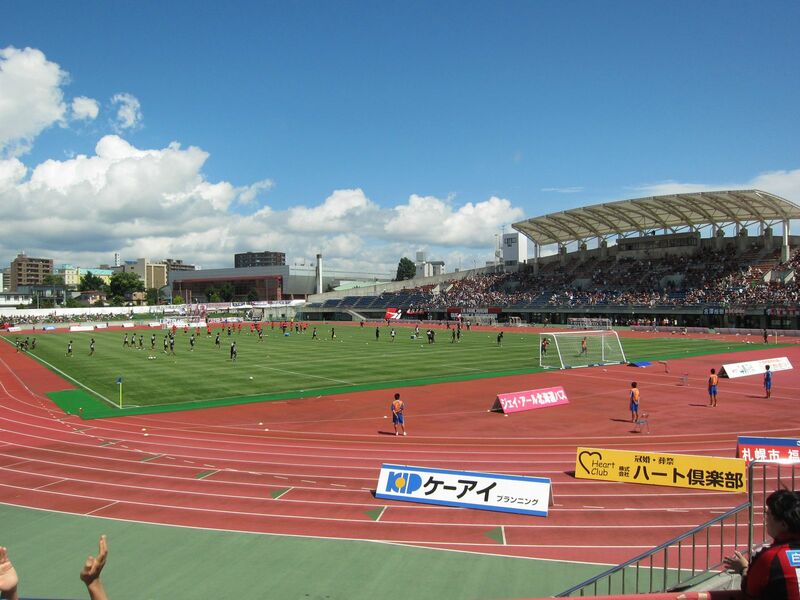 Historically it’s the Sapporo team who have played most fixtures in the otherwise tenantless stadium. 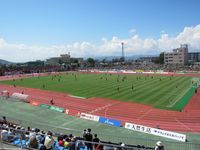 A couple seasons ago Japan launched their third professional football league. Now it’s time for us to keep up with presenting their stadiums. 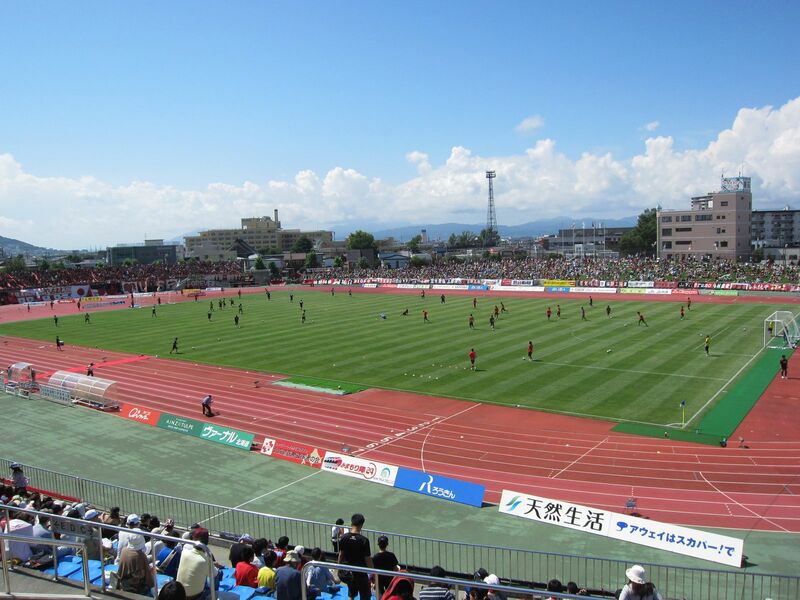 By popular demand here are first Japanese stadia this year!